James Kalm visits the exhibition Mary Grigoriadis Strokescapes 1970s-1980s at Accola Griefen Gallery, New York, on view through May 18, 2013. Kalm's video provides an up-close look at Grigoriadis' paintings. The gallery press release notes that the paintings are "secular icons that are luscious in both color and texture. [Grigoriadis] applies layer upon layer of oil paint to build up a sumptuous, glowing surface of pronounced brushstrokes... These works incorporate poly-ethnic borders using sources as diverse as Byzantine icons, Native American fabrics and Islamic architecture. 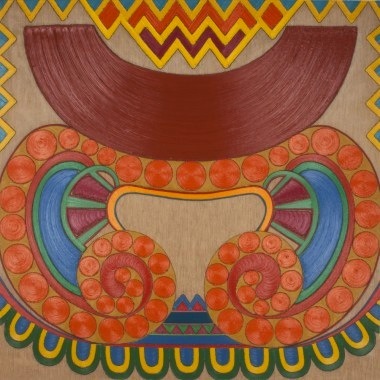 Rooted in her personal background, the paintings also explore the use of pattern in various art historical moments and in women’s crafts from western and nonwestern cultures."